Silverado and Sierra Receive Eight-Speed Automatic Transmissions – The Bunch Blog! 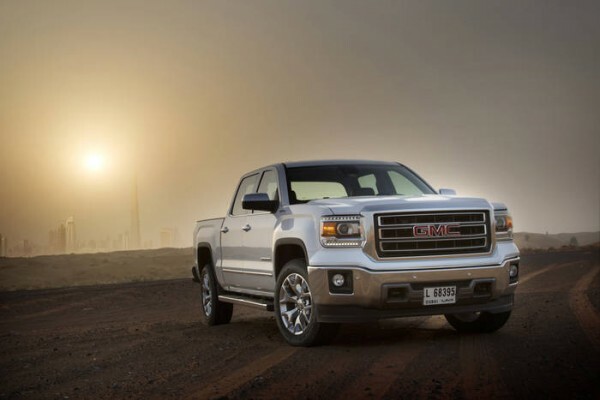 Rumors have been swirling around about GM’s half-ton trucks gaining an eight-speed automatic transmission for the 2015 model year. We were let down after the release of the 2015 Order Guide for the Silverado and Sierra did not contain any mention of them gaining GM’s new eight-speed automatic. We naturally thought the full-size twins will be soldiering on for another year with the six-speed automatic transmission. Today though we have received two pictures from an anonymous source confirming that the 2015 full-size trucks will be getting the new eight-speed transmission with a catch….. Just like when GM transitioned from the four-speed automatic to the six-speed automatic back in 2008, the top engine will the only one gaining the new transmission. The 4.3 liter V-6 and 5.3 liter V-8 will soldier on with the six-speed automatic while the 6.2 liter V-8 will be paired with the new eight-speed transmission. GM offers the 6.2-liter V-8 in Double and Crew Cab half-tons with the max trailering package, Silverado High Country and Sierra Denali. In all half-ton applicaitons the engine generates 420 horsepower and 460 foot-pounds of torque. The new eight speed is apparently the 8L90, which recently debuted in the 2015 Corvette Z06 and will be offered in the 2015 Corvette Stingray as well. The EcoTec3 6.2 liter V-8 in the half-tons is a derivative of the 6.2-liter V-8 that powers the Corvette Stingray. Although no details are known, we can likely expect incremental increases in both performance and fuel economy thanks to the two new cogs.